This is an incredibly generous recognition of unfinished work! 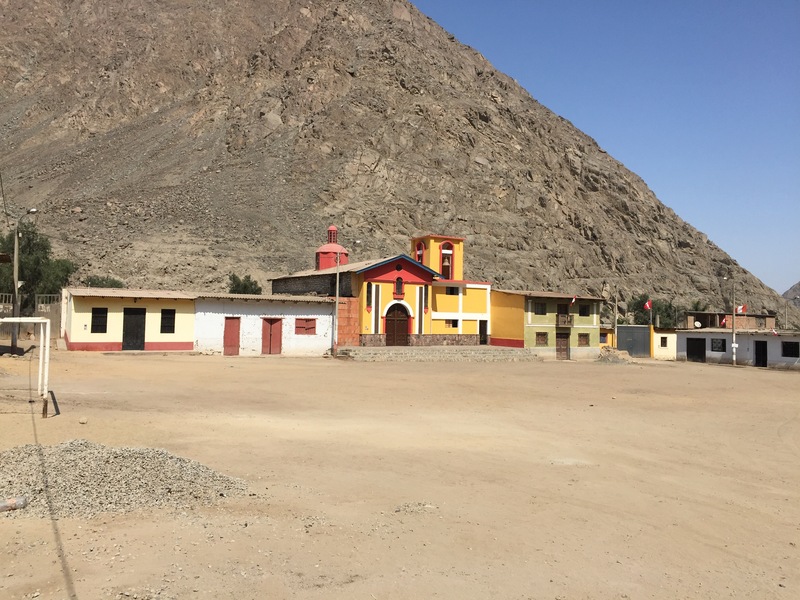 Con la ayuda de Dios…tendré muchos años más para servir a nuestra asociasion. I am too often praised for the work of many. It is my experience that no one receives this type of recognition alone. There are many talented people who have supported, collaborated and led years of hard work which have made this day possible for me. I want to first thank president Mekahlo Medina and the board of directors for this honor. It’s been my privilege to have had the chance to serve with many of you and to work for all of you. Muchisimas Gracias to the NAHJ staff, the unsung heroes of our association. Vicki, Leslie-Anne, Yaneth, Alberto and past staff… I owe u a debt of service I know I will never be able to repay…but I will keep on trying. Thank you, Nacion NAHJ! It takes a nation of dedicated members to build a great organization, 30+ years and more than 2K strong…you are the heart of NAHJ. 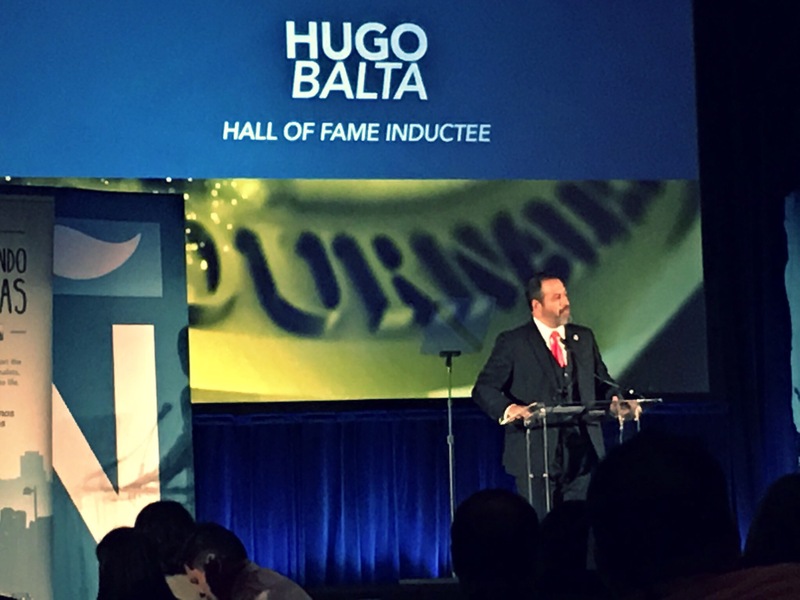 Of course, thank you to my employer ESPN which is an incredible supporter of NAHJ and of me…especially during my tenure as president. They afford me the time and resources to champion NAHJ’s mission…a mission ESPN also shares. Thank you to the many sponsors of NAHJ which are partners in making major events like this incredible conference possible. A special thank you to Toyota which from the start of my presidency came out strong and were key in realizing NAHJ’s 30th anniversary in San Antonio in 2014. 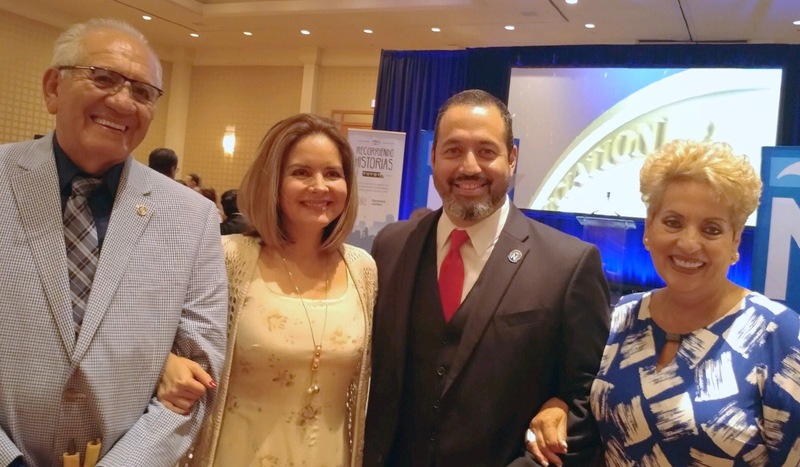 I’ve been coming to NAHJ’s annual conference most of my adult life and this is the first time I am treated with having my parents and wife with me. In doing our work as journalists, there are many times we are not present for birthdays and holidays or other special occasions. Our families too often take back seats as we pursue our passion. My wife and children are no exception. Thank you, Adriana for your understanding, sacrifice and for providing me with an incredible home filled with love and happiness. I am my father’s and mother’s son.Yo soy hijo de Hugo y Graciela Balta; immigrants to this great nation from Peru. All that I am, all that I’ve achieved…personal and professional is because of them. Thanks to their courage and sacrifice, I will never know the type of need which forced them to go to a foreign land at an age when most young people are celebrating their high school graduation and looking forward to a higher education. Muchisimas Gracias papa, mama por todo sus sacrificios, apoyo y amor. I say this is a recognition of unfinished work because there is still so much work to do and so much more I need to do to truly earn this award. Latinos are still underrepresented in newsrooms across this country despite data after data, year after year about their population growth, economic power, social and political influence. There aren’t enough Latinos in front of the camera, behind the camera across all platforms. There aren’t enough Latinos in management; the editorial decision makers which shape the newsroom culture. Even in markets where Latinos are not just the majority minority, but the majority period….we are underrepresented. Not much has changed since I began my career some 25 years ago. We are not telling our stories…they are. No, because it goes against the hard work of many generous colleagues, friends and family who have and continue to fight for the fair treatment of the Latino community; who encourage and support me in that same cause. One of those special persons is my abuelita Hortencia…my maternal grandmother. It’s been more than 10 years since she passed away, but she is never far from me. 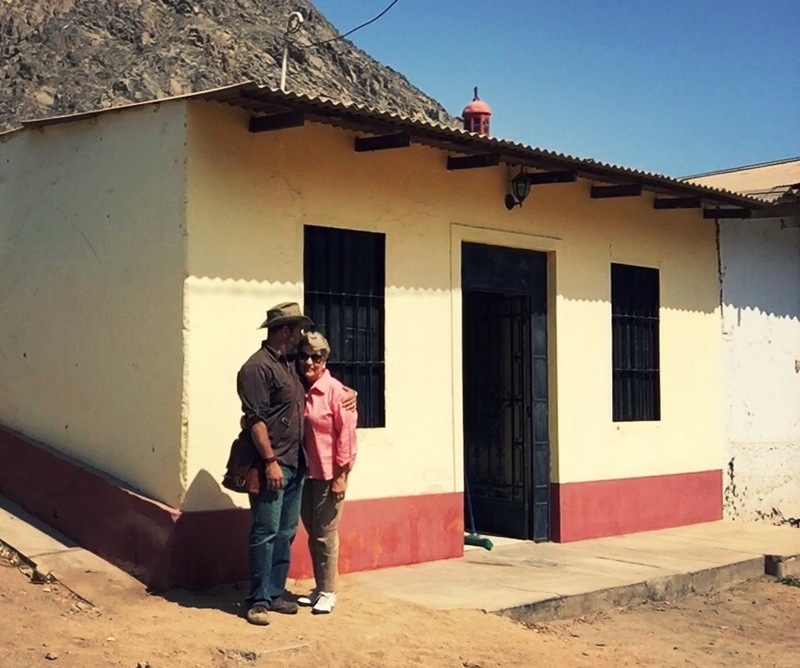 Just last week I visited her humble home in Peru…no bigger than most executive’s office. Sisicaya is a town with a population of 100 at best where she and her mother were born. Her house has running water and electricity now, but I remember when it had dirt floors, a straw roof, running water was the stream not far from the backyard and the only light in the evening was candlelight. My grandmother never had the title CEO, President or GM…but she had one title rarely given: abuelita, which as many of you know is very different than abuela. She never had much of a checking or savings account…but she was rich from the love of her family…children, grandchildren. She didn’t have any formal schooling…no bachelor, masters or doctorate …but she had a degree on life…education that is still teaching me today. She didn’t get to see much of the world, but she was worldly…an enlightened human being who knew you don’t need to go across the globe to find what’s right in front of you. Courage…ni hablar – at 5’1, she’d stare down any figurative and literal Goliath. 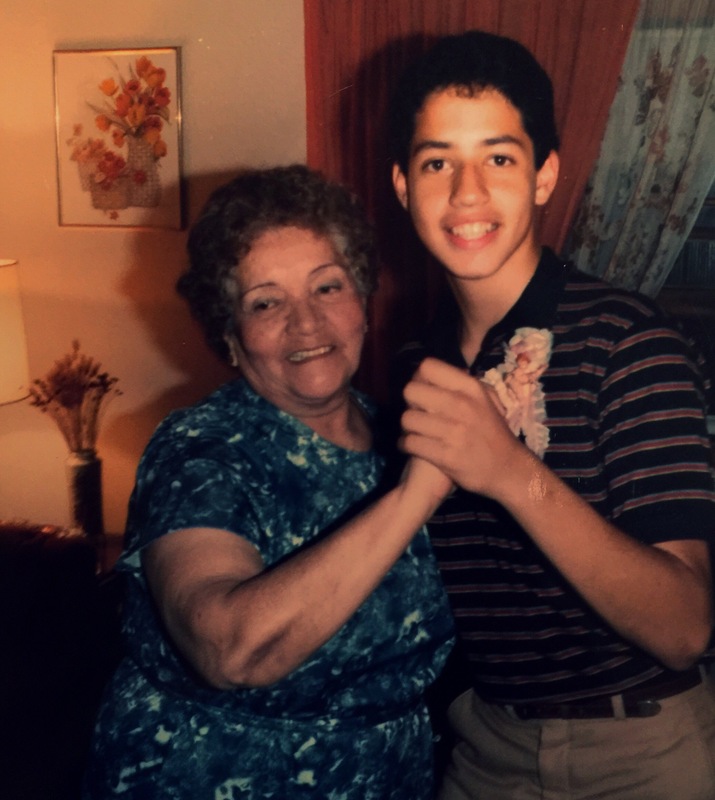 It is with my abuelita in mind and in my heart always that I announce to you…on behalf of her family, the Hortencia Zavala scholarship to benefit NAHJ students…so that she can continue helping future storytellers like she did with this one.